Oh man, I am obsessed with this TV Series at the moment and I don't know why it took me so long to find it. One day when I was randomly watching youtube videos, I stumbled across 'Top 10 Most Disturbing Cases in Criminal Minds' and after I watched the video, I instantly knew I had to watch this series and thank goodness, it was available on Amazon Prime! I love criminal thriller themed TV series and so this is just perfect for me and I love the FBI concept of it as I haven't watched many shows that are based within the FBI. 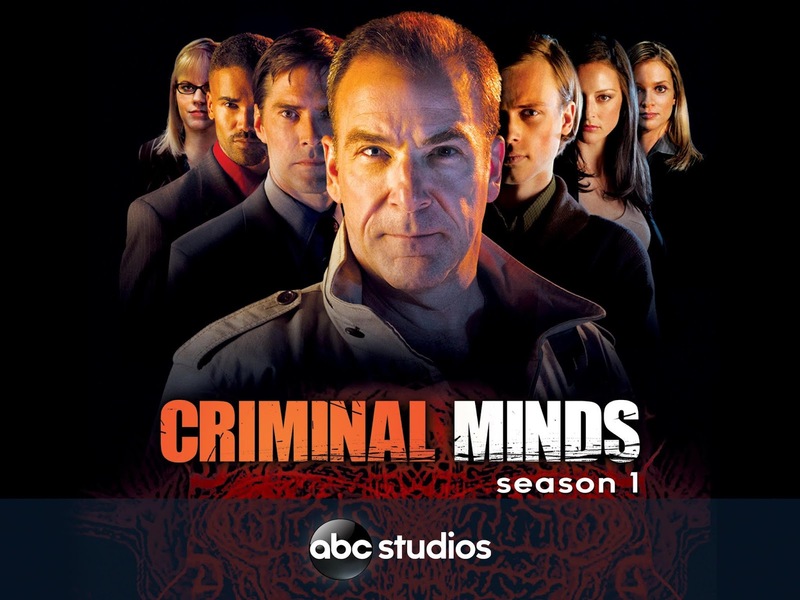 If you don't know what Criminal Minds is about, it follows a FBI team based in the B.A.U (Behavioural Analysis Unit) and they go to different crime scenes and aid the police in finding the culprit through the act of profiling. Honestly, it's great and I love how complex the crimes get as it makes the series far more interesting to watch. I am also obsessed with the character Reid. Oh man, I just love him. There're 13 complete seasons on Amazon Prime and I'm only on season 3, so I have many episodes to watch which just makes me very happy. 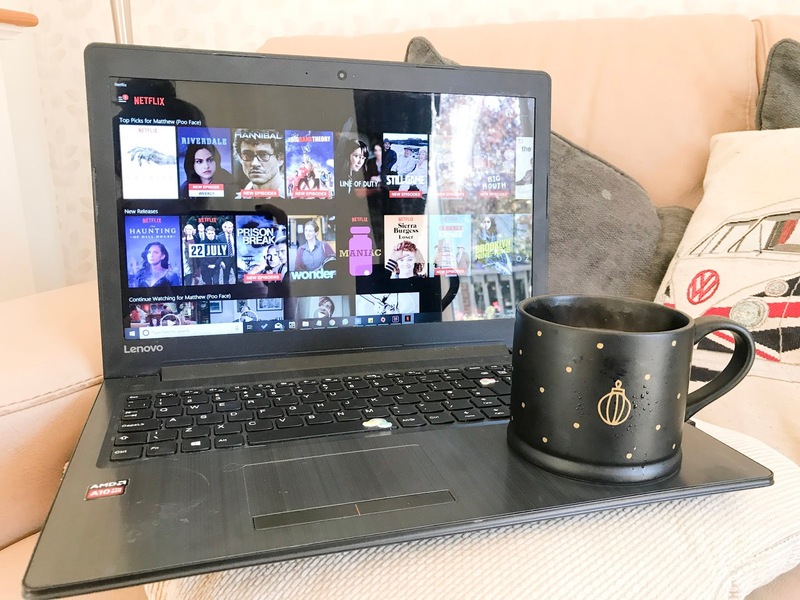 It's so easy to binge watch as well, so if you are looking for a fab series to binge watch and you love yourself a crime series then this one is for you! Now, I didn't think I would enjoy this as much as I have, purely because I haven't watched the films as I've been too scared to watch them! However, this show is really good! It's not as scary or as gory as I thought it would be and the story isn't too bad either. 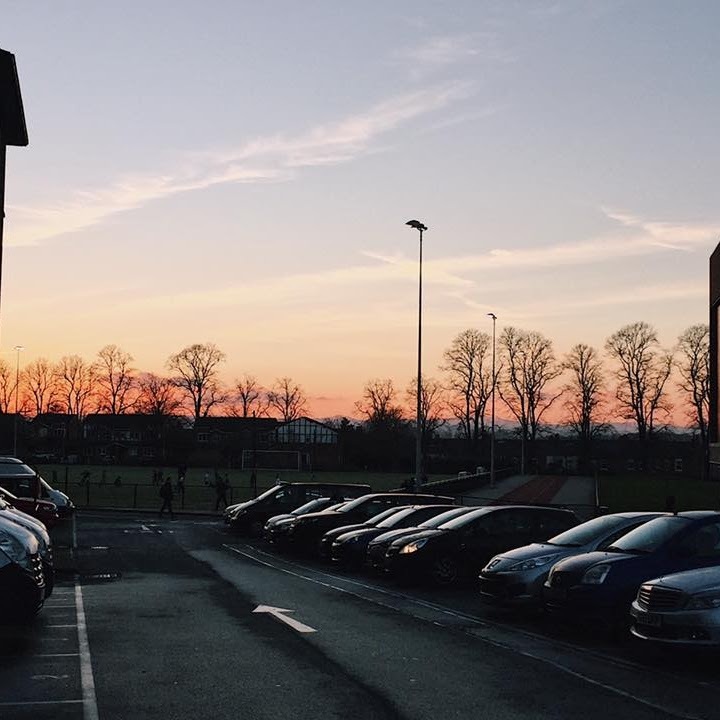 The Purge, follows multiple story lines throughout one evening on the purge and it's filmed and told in a way that makes you want to keep on watching! You don't need to watch any of the films as there isn't any links to it, other than the purge itself. So far, I'm loving Penelope's story line as she's part of a cult and the aspect of the cult is so fascinating. 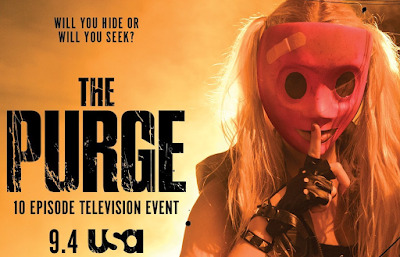 The Purge is being aired on Amazon prime and a new episode is released once a week on Wednesdays and so far, there is only 5 episodes, so there is plenty of time for you to catch up if you want to watch this series. Honestly, it's perfect for this time of year as it's scary and suspenseful! Perfect for Halloween, no? 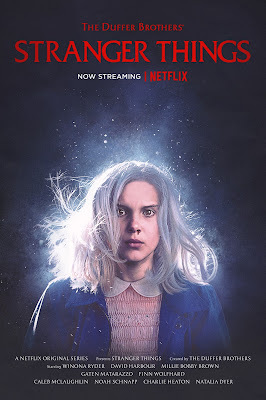 Stranger Things, I believe is going to become a cult classic TV series when it comes to Halloween. I just love this TV series and I find it so easy to binge watch. I'm so gutted that season 3 isn't going to be aired this year but I'm still going to binge the two seasons that we do have as it really is a perfect Halloween/Autumnal series that will definitely get you in the right mood. If you haven't watched Stranger Things then, where have you been!? I joke, but if you don't know what it's about. It's about a group of kids, who's mate goes missing. The boys decide to investigate into the case and along the way they meet El, who has her own secrets. If you love Stephen King and Stephen Spielberg then you will probably love this TV series as it radiates those vibes (very 80s). I really hope they decide to release the third season soon but for now, I'll just binge the current two seasons on Netflix. I binge watched this series earlier this year and I was pleasantly surprised by the series. I found it really different and unique, as well as funny! Recently, Netflix announced that they have released the third season of this series. When I heard this, I was super excited as the second season was left on a awful cliffhanger and I've been wanting to know what happens for quite a while. 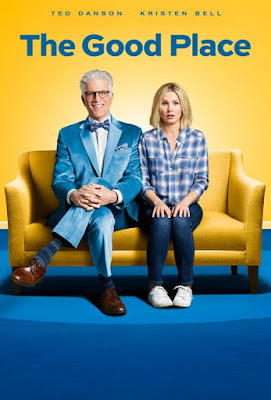 I feel like I can't really say much about The Good Place as if I do, I could potentially spoil a lot of it so you will just have to trust me when I say that is definitely worth watching. It's great because the episodes are only 20-30 minutes long so is the perfect binge worthy TV series as it doesn't take you very long to complete the series. I honestly love this series and I really do recommend you watch it. Like I said, the episodes are not very long either so you won't be wasting your time if you do decide to watch the series and then unfortunately don't like it. Either way, I'm loving the third series so far and hopefully it will be as good as the first two. So there you have the TV series that I'm currently watching! I honestly recommend all four and if you do watch any of these series, I would love to hear your opinion on them too! Or let me know what you're currently watching? I love discovering new TV series to binge. Oh I saw The Purge advertised and thought I would like it but then totally forgot. Thanks for reminding me. 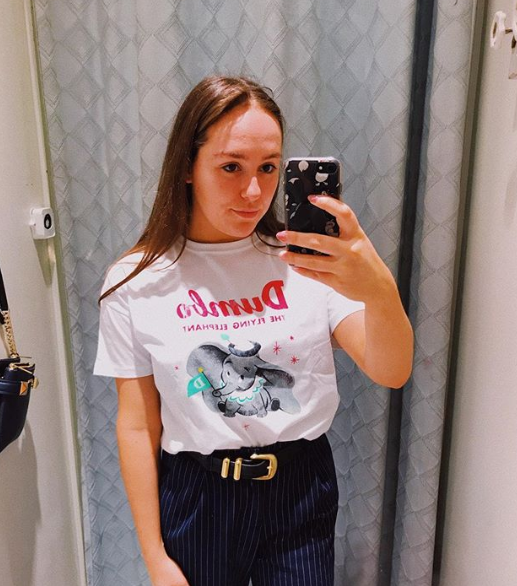 I've just finished watching Killing Eve and The Haunting of Hill House. I'd highly recommend both! The purge is on my list to watch i love the films!